Lenders play a vital role in keeping the housing market going through boom years as well as times of uncertainty. In addition to providing mortgage loans to consumers eager to purchase a home, they also provide loans for new construction and redevelopment efforts. In recent years, the market has been buoyed by historically low interest rates that make borrowing more attractive to would-be homebuyers. Federal interest rate hikes since the first of the year have changed that, posing potential challenges for mortgage borrowers. But lenders feel good about the technology tools now available to them that can be invaluable when it comes to reaching out to and communicating with young first-time homebuyers. 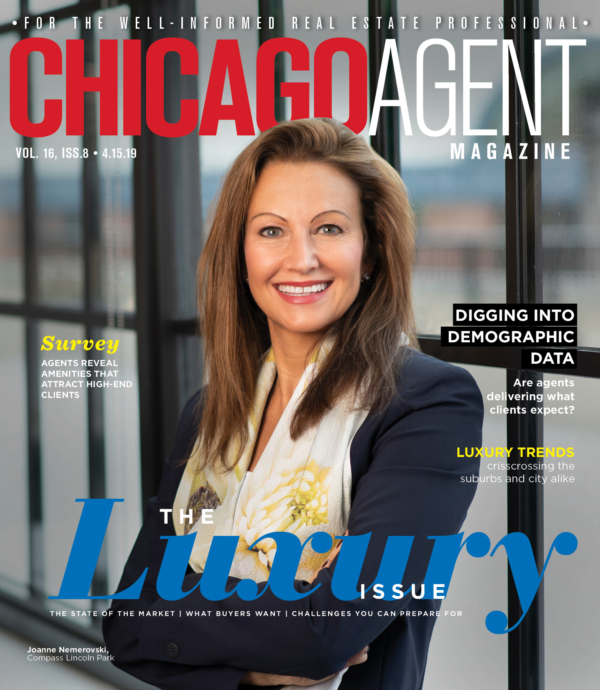 Chicago Agent magazine recently spoke with three lending professionals to find out how they interpret the current state of the industry, where problems persist and what solutions might be used to make the lending process easier for homebuyers to navigate. Brian Dixon, branch manager, Wells Fargo Private Mortgage Banking: I think the mortgage industry is at an exciting place right now. Today, consumers are looking not only for a thoughtful sales approach, but an interactive mortgage experience as well. I think companies that invest in the development of their sales team and technology platforms will certainly have an edge moving forward. For example, Wells Fargo is investing significantly in its technology platforms, such as with our interactive Online Mortgage Application (OMA) and our loan status and document upload platform, Your Loan Tracker (YLT). Additionally, the company is focused on retaining and recruiting top sales talent by providing significant support resources, custom marketing, cutting-edge technology and professional development. 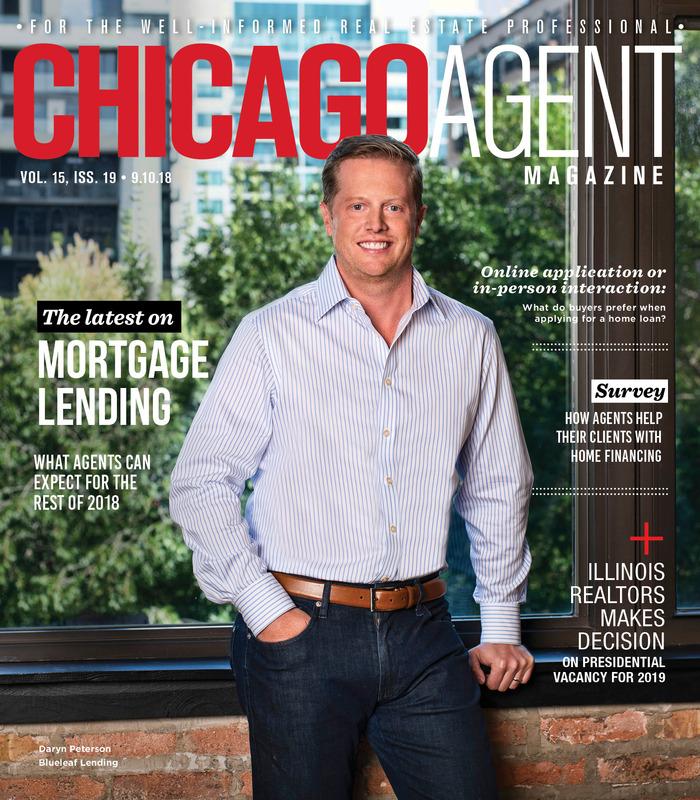 Daryn Peterson, vice president of mortgage lending, Blueleaf Lending: The mortgage industry seems to be coming to a fork in the road. With fewer refinance transactions, more mortgage companies have entered the purchase business market which leads to more competition and more consumer options, which often leads to confusion. We’re also straddling the proverbial line between traditional loan officer and digital mortgages, all while most banks’ profits are down and costs are up. Time will tell how the consumer prefers to handle this type of transaction, but we’re certainly at a critical juncture in overall business strategy. Dixon: It’s true that rates have risen steadily since the end of 2016. However, despite this increase, rates remain historically low overall. It’s still a good time to consider buying a home. That said, we continue to encourage buyers to make their financial decisions based on where things are today, including their budget, needs and future plans. It’s all about creating sustainable homeownership for us and we want our customers to feel confident about their choices. Koziol: Looking at the history, at this point the adverse mortgage rate for a 30-year fixed mortgage right now is around 4.5 percent, which is higher than what we have seen and what we observed last year, which was 3.86 percent. What we’re seeing is that we do believe the Federal Reserve will continue to raise short-term rates and push long-term rate yields higher. Not to say I wish I had a crystal ball to see where all this is going to go, but even with this trend we still believe it’s a great time to buy a new home or get into a new property. Peterson: It’s hard to say. I’ve been originating mortgages since 2004 and have been asked that question every year. Every year the experts have predicted a rise and that hasn’t always been true. I tell my clients that if you’re concerned about rising interest rates, then lock into a fixed rate and your concerns are gone. Many people will choose an Adjustable Rate Mortgage (ARM) with the assumption they can always just refinance later. A few of the inherent risks with this assumption include decreasing property values, job loss and increased debt. Any of these may derail a refinance. As long as the client is aware of these risks, then an ARM can be very attractive. But, in a volatile market, many clients may still gravitate to a fixed rate. That said, I do think a gradual rise in rates over 2019 is a possibility. Dixon: I look at any potential challenges a little bit differently and see them more as opportunities. I think that companies need to focus on elevating the customer experience in order to have an edge going forward. For us, it’s all about connecting with and anticipating the needs of our customers, and demonstrating in every interaction that we are the best choice to help them achieve their financial goals. I also see an opportunity for us to enhance our relationships locally with business partners such as Realtors and developers. We recognize what a great market Chicago is for our company and we are committed to finding ways to expanding these relationships. This is certainly a key focus for us. Koziol: There are two things: lack of inventory and we see the interest rate increases, which is also increasing competition with pricing with other lenders. Peterson: The biggest challenge, especially for the Realtor community and consumers, is having the correct expectations for the mortgage process. Many companies are promoting the mortgage process as a few clicks online and two weeks later you’ll be sitting at the closing table. Although significant changes in the technology have helped to streamline the process, there are several moving parts to every deal and every borrower that can’t necessarily be translated to a digital mortgage application. Dixon: This will really be about promoting awareness. I believe that today’s homebuyer is looking to engage with a lender that is committed to providing a best-in-class customer experience that includes a thoughtful sales approach, an easy application process and competitive products and rates. We believe Wells Fargo offers all of these. Koziol: We truly believe that all generations, including Generation X and millennials, even though they are starting their searches online, still want that face-to-face discussion with an actual advisor to guide them through that exciting transaction and also to start the long-term relationship. So it was extremely important for us to change our title from mortgage banker to home lending advisor, as we are trying to advise our clients into whatever product they have to go to and making that relationship long-term. One of the newest things that we’ve rolled out to kind of keep our customers with us, we’ve rolled out new payment features based on customer feedback. Now we allow our customers to make their mortgage on a monthly basis in a traditional way, or switch to twice a month or to every two weeks. We are truly trying to get a feel from our customers on what else we need to improve on our end, and then we’ll roll that out so that it’s easier for them to bank with us. Peterson: I believe it’s the loan officer’s job to properly explain the nuances of the transaction and set the proper expectation to all parties. That is the most important step in a successful mortgage transaction. Dixon: The industry is still evolving, and I anticipate there will be more changes over the next couple of years. I think that companies need to continue to focus on elevating the customer experience in order to have an edge going forward. And I think ongoing investments and enhancements in technology will be a key driver of this. Koziol: We’re seeing many advances in technology, so we continue to use advances that have a big impact for all of us. We’re making it faster and easier to do business with us so that our clients can work with us in the way that they want to work with us so they can communicate with us based on their preferences, whether it’s through email or phone or through the online portal. We are adjusting all of our communication preferences based on how our customers want to interact with us. The next step for us to improve the industry for us and especially for our real estate agents, part of our digital experience will be where agents will be able to view how their loan is progressing with customer authorization, so everybody will be able to stay in the loop from the beginning of the transaction to the end. Then if it starts a relationship, all of us will be joined together. We’re truly building strong relationships with agents so that we are representing as one team when we were talking to our customers going forward. We’re committed to making sure that we improve and continue growing our relationships with agents so that we’re always on the same page and we can take some of the pressure away from our customers because we have a very strong line of communication together. Peterson: I feel there are unlimited opportunities to continue to share our knowledge with the real estate community and first-time buyers. Most of the conversations that I’ve had with buyers and agents recently have ended with them saying, “Wow, I had no idea you could do that!” Continuing education to my clients and partners is a pillar of my business that I want to continue to embrace and improve on. Dixon: I think investments and enhancements in technology are key drivers of the customer experience. As a company, we also believe innovation and data are keys to our success. I mentioned our Online Mortgage Application (OMA) earlier which provides consumers with yet another option for applying for a mortgage loan. OMA uses third-party-hosted technology that enables a customer to submit a credit application electronically and to add account documentation from Wells Fargo or other financial institutions. When a current Wells Fargo customer logs into online banking and uses the Online Mortgage Application, they won’t be asked to provide certain information that we already have in our database. Once you’ve applied for a mortgage, you can monitor the progress of your application with YourLoanTracker. This online tool allows customers to receive alerts on the status of their mortgage application as well as view disclosures, and upload and approve documents digitally. These are just two examples of how we’re using technology to elevate the customer experience. Koziol: We’re trying to create a streamlined product for our customers so that they have easier access — and we can take some of the pressure and stress away from them as they’re going through the process of purchasing a new home. We are getting to a point where they will be able to go through the process through the digital experience. We went 100 percent paperless because all of that can be done online. It’s just making it easier for them to do it from their mobile device, from their iPads, from their notepads or online through their computers. Peterson: In my opinion, technology will never replace the traditional loan officer. That being said, technology has played a major role in my business. It has given me the ability to be more efficient with my daily activities and to communicate better with my clients and business partners. I believe the story of how technology changes the mortgage industry is still being written and that we will continue to see changes for years to come. As long as those advances help the client, then I’m all for it.